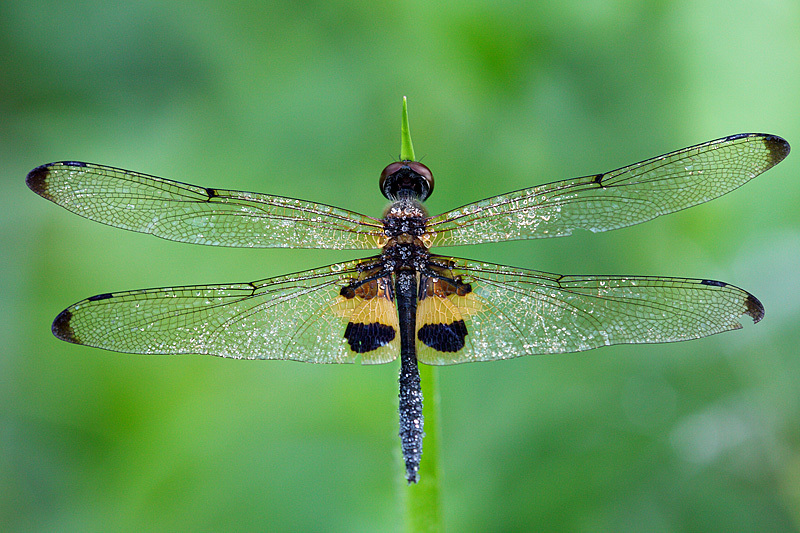 This is a common dragonfly species and is easily recognisable by it back and yellow markings on its wings. A beautiful dragonfly that prefers to perch on very thin leaves or stems making it quite difficult to photograph as a slight breeze would cause the perch to swing resulting in motion blur. 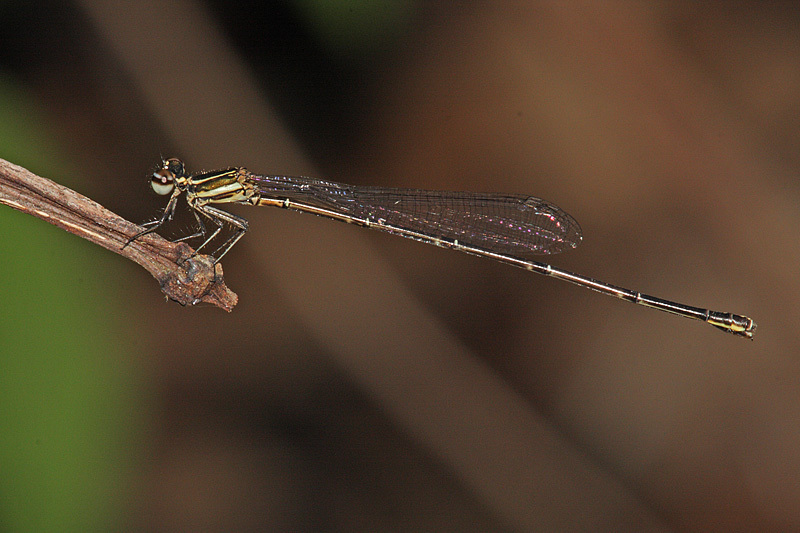 Despite being a common species in Malaysia, this forest damselfly was recorded for the first time in Singapore at Chestnut area in Oct 2006. 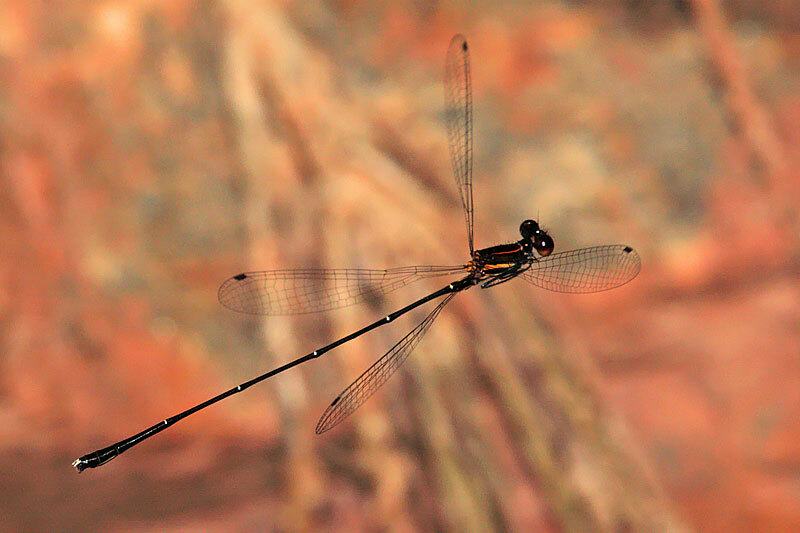 So I was glad to have spotted this uncommon species at a stream along Chestnut Avenue Bicycle Trail on 4 Oct 2009. Not a difficult species to get close and it often returned to the same perch. But I observed that it preferred to perch very lowly just above the water surface of the fast moving stream making it tiring and difficult to get a good angle shot. The lighting was also not ideal as it usually chose a shaded perch. The colour of the male is generally dark brown from head to tail with some orange markings on its abdominal segment. 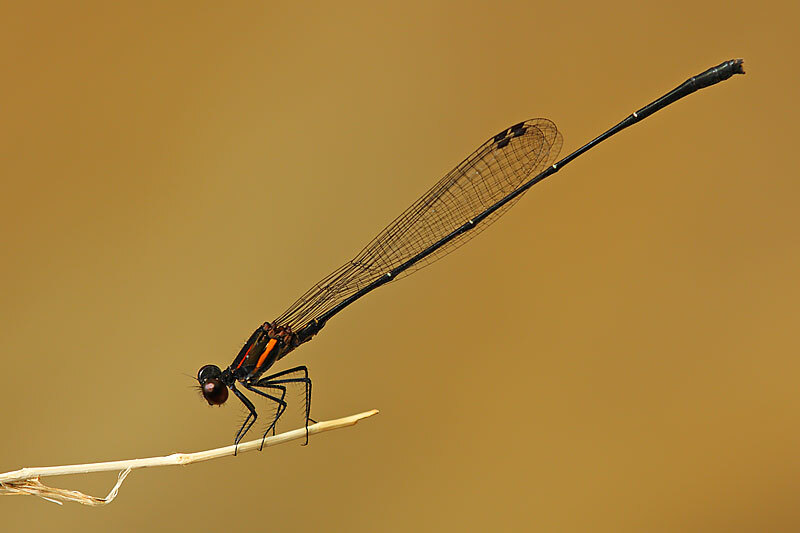 The male sometimes would hover in mid-air for an unusual long period of time. This is a good opportunity to shoot them in flight. There were about 3 males in the steam when I revisited the place on 6 Oct 09. A female was spotted about 30 metres away from the stream. It has duller brown in colour with white marking on its abdomen. Initially, I thought it was a species that I had photographed before and as it was already quite late, I just took about 4 record shots and left. 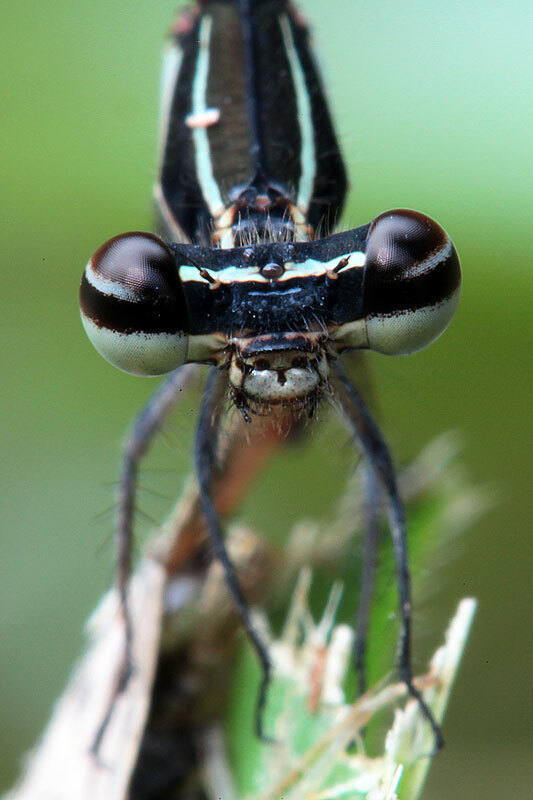 I regretted after I realised that it was a female of this species which reportedly is more uncommon than the males. I have not seen the female again at Chestnut Ave despite my subsequent visits there. 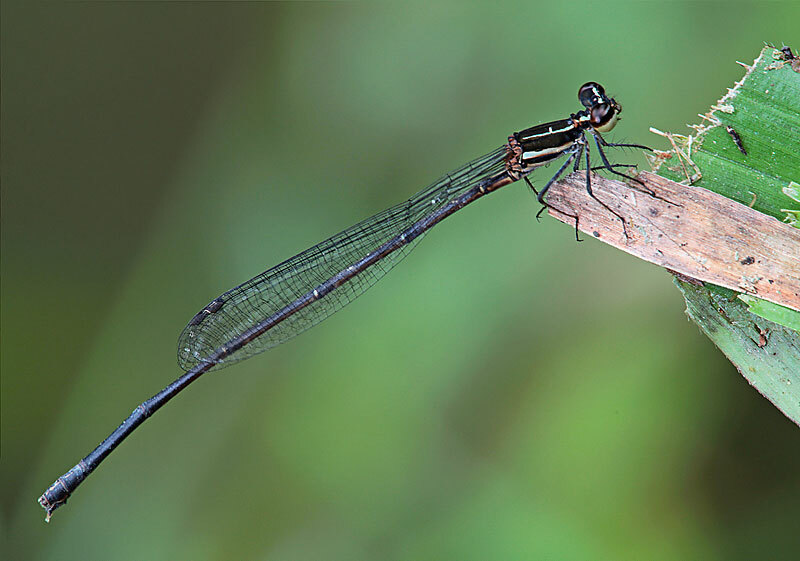 Afternote : A year later in Sep 2010, I discovered that this damselfly species can also be found at Lower Peirce Reservior. Again, the males can be easily spotted but not the females. It was only on 6 Sep 2012 that I finally had a slightly improvement shot on the female. It was not difficult to approach the female and therefore I was able to get some close-up shots.